I've been having this terrible problem for a little while and just managed to get a picture of 'dead screen' for the first time and I am posting it to seek help. Randomly, at irregular intervals (typically once a week), while working on something (it's been different things every time) my computer will just suddenly go dead - the screen turns to exactly the picture below (the lines flicker a little bit), it hangs there for a few seconds and then restarts. Obviously this is extremely frustrating and I want to try to stop it. I've searched numerous postings with similar keywords but nothing exactly the same as mine. Does anyone have any idea what might be the cause of this? I would post all my system settings and installed programs but the list is long and I don't know how much relevance each item would be. If you'd like to know something specific, please comment and I'll let you know whatever you need. then it will be pretty obvious - just throw it away immediately and go to store to buy a replacement card. Graphics card failure as @mvp mentions. It could be bad capacitors, it overheating (check for a dead or dust clogged fan), it not connected securely, or has sustained other damage somehow. This is assuming you have a discrete graphics card. Try updating graphics card drivers. If you do have a discrete graphics card, run the system and see if the problem comes back just running off the integrated graphics. If it doesn't you know it's a problem with the card (or possibly PCI-E slot). 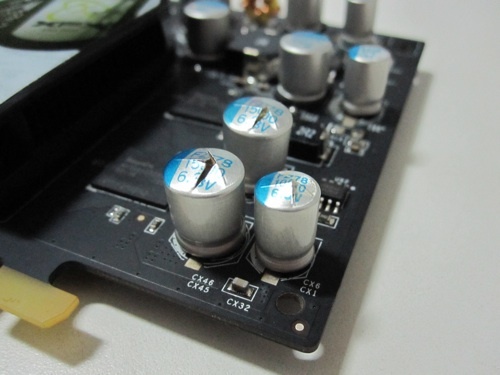 While your motherboard is open check for bad (bulging) capacitors - any present could cause this issue, particularly if you've noticed other weird things like your system being inexplicably slow or not powering on reliably. If your system is dusty, clean it and see if that makes a difference. I'd check for bad RAM next. If you have 2 or more modules, put 1 in at a time and see if the issue recurs. Furmark3d is a good free utility (I'm sure there are others) to stress your graphics hardware. Your power supply may not be providing reliable power to your system. Try swapping it with another and see if the issue persists. You may have another piece of failing hardware that's causing an issue. Remove any other expansion cards in your system and see if the issue persists. You could also try disabling any onboard hardware in the BIOS (Ethernet ports, etc.) and see if that helps, but that's unlikely to make a difference (if it does, replace the motherboard). Unlikely, but the CPU could be an issue. Try swapping it if you have a spare part around. I know you said random but, is there any link at all? Is it after a certain period of time, when a type of process is being run (videos/music), types of application (games) to see if something is triggering it. Updating all your drivers including the chipset, graphic and audio drivers! Checking your RAM chips. If you have more than 1, take them all out but 1, and ensure it's seated properly. Try the different slots. Make sure it's not overheating and well ventilated! 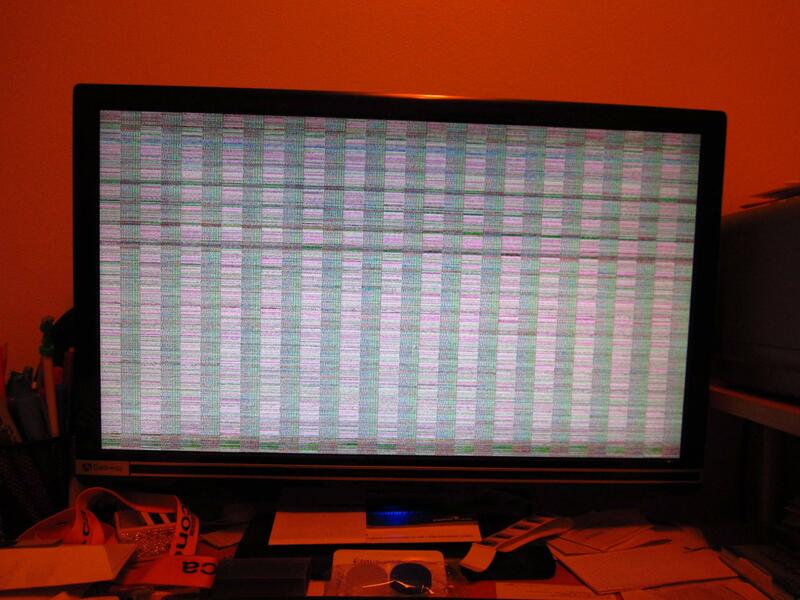 It is surely a problem with your graphics card. My 9400 GT does this when overclocked beyond capacity. Your system is fine. My question is that does it run at all? Meaning, the welcome screen and desktop is displayed? If so, then there is a problem with the three clocks ( GPU , Memory and Shader ). It is possible that the GPU is frayed. Use ATI Catalyst Control Center or an overclock program to downclock the three clocks. If not... then your capacitors are blown. I would consider replacement. I hope that's it. Sounds like your computer graphics/monitor driver is corrupted. I think if you recover your windows or fresh install, I hope your problem will solved. Not the answer you're looking for? Browse other questions tagged freeze bsod reboot or ask your own question. How can I find the cause of a system freeze recurring after CMOS battery change? Windows 10 intermittently crashes while entering sleep mode—network driver issue or hardware failure?